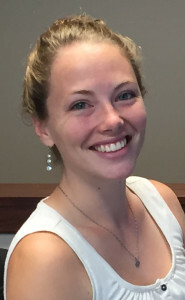 Katie Littlejohn has joined the staff of GraceConnect as operations coordinator. She is responsible for the day-to-day business operations of the organization, along with database management and event planning. A graduate of Purdue University, Fort Wayne, Ind., she holds a B.A. degree in Media and Public Communications with a minor in creative writing. She has worked with the Whitley County YMCA, Columbia City, Ind., as a membership enrollment specialist and in wellness and membership services. She also worked at the YWCA of Northeast Indiana in Fort Wayne as a development assistant. She and her husband, Brian, reside in Columbia City where they are active in Community of Hope Grace Brethren Church (Jeremy Wike, pastor).